Southampton have rejected Manchester United's initial bid for Morgan Schneiderlin, the red devils were hoping to lure the French midfielder with a £20m but the player is valued at £25m by Southampton. 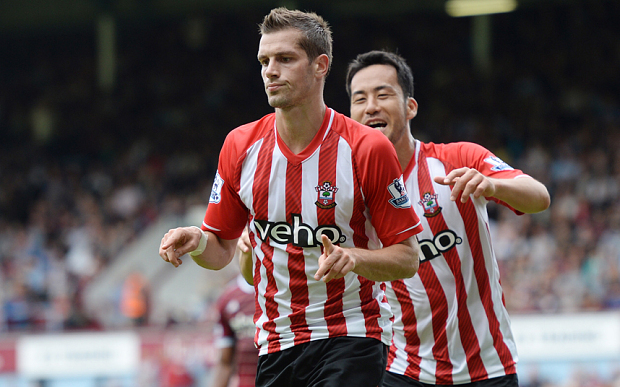 According to reports by Telegraph, Schneiderlin is back in training with Southampton and has an understanding that he will be allowed to join a Champions League club should a suitable offer come in. Although £20 million is double the £10 million that was offered last year by Tottenham, Southampton are sure their valuation is very realistic for a player of Schneiderlin’s quality. Arsenal and Tottenham are said to be interested in the midfielder but both are not ready to go into a bidding war with the richest club in the Premier League. Manchester united are expected to return with a higher bid, though a contract offer is on the table to make Schneiderlin the highest paid player in the history of Southampton.